With the release of Microsoft Corp.’s (NASDAQ: MSFT) new Windows 8 operating system earlier this fall, many small businesses will be considering making the transition to the new OS. If so, there are a number of tools out there to help you make the transition. 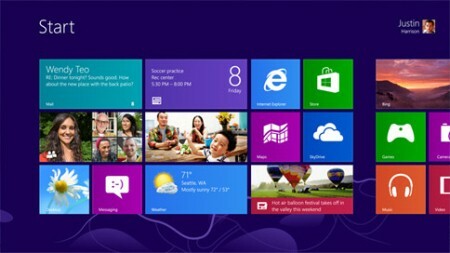 Most small businesses will likely be exposed to Windows 8 through the purchase of a new laptop or desktop PC. Whether or not you should upgrade your existing PCs to the new OS is another question, however, as the new OS, with its touch-first OS and heavy focus on the cloud and app store model, will be a major change for users. With support ended for Windows XP, an upgrade for those PCs is a must, although Windows 7 will be a more attractive option. And many businesses may opt to stay with Windows 7, which isn’t too old and offers a familiar interface for most users. Windows 8 boasts a radical new user interface. Technopedia from BDNA is an IT reference catalogue with reports from early adopters on compatibility, licensing and other issues. Nomad Enterprise from 1E automates software upgrades and deployments using Microsoft System Center 2012. QuickStart Intelligence Corp.’s training courses can help your IT staff get ready for your Windows 8 deployment. Laplink Software’s PCmover for Windows 8 is a migration tool that facilitates the transfer of files, folders, settings and applications from older Windows PCs to Windows 8 machines. Zinstall offers migration solutions for home and business users, including a PC-to-PC migration tool and a migration suite for businesses. Quest Software’s Workspace Desktop Virtualization offer experimental Windows 8 support for customers to give the product a try before switching. Dell Kace’s K1000 Systems Management Appliance supports Windows 8 and Windows Server 2012 to assist IT departments in supporting the new platforms.